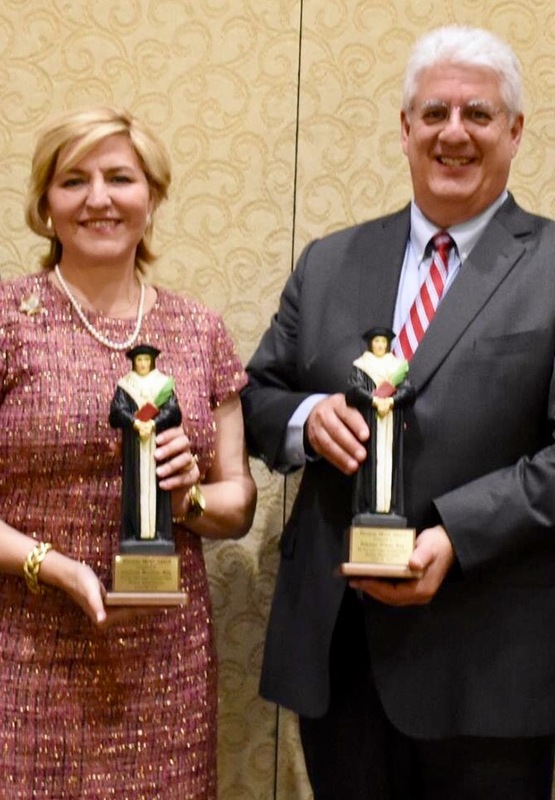 On Friday night, April 28, 2017, Bioethics Defense Fund co-founders Nikolas T. Nikas and Dorinda C. Bordlee were presented with the Thomas More Award by the Boston-based Pro-Life Legal Defense Foundation. 1996 Francis H. Fox, Esq. 2006 Frances X. Hogan, Esq. 2009 Thomas M. Harvey, Esq. 2012 Philip D. Moran, Esq. 2014 Mark L. Rienzi, Esq. 2015 Michael J. DePrimo, Esq. Prior to the Century Dinner, Nikas and Bordlee gave their presentation on Natural Law and the Brave New World that has been presented at prestigious law schools and universities around the nation and abroad.